Our company has set benchmark in offering Trouser Hangers to the clients. Trouser Hangers are check on defined quality parameters to provide best range to clients. 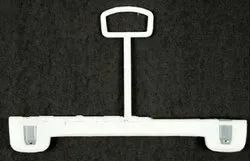 We are offering Trouser Hanger to our clients. We are offering Pants Hanger to our clients. 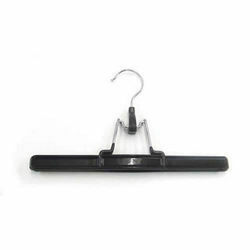 We bring forth vast industrial experience and expertise in this business, instrumental in plastic Cloth Hanger. We offer Wooden trousers & skirt hanger in 12", 14". Naturally lacquered wood with chrome plated hooks & clips. Fostered with enormous business understanding of this realm, we are involved in presenting a broad consignment of Trouser Wooden Hanger. Keeping in mind the changing requirements of the customers, we are involved in offering a wide array of Trouser Rails. The offered Trouser Rails is extensively used for keeping utensils. Moreover, the offered products are available in market in bulk in different sizes and dimensions. Our products are of standard quality.